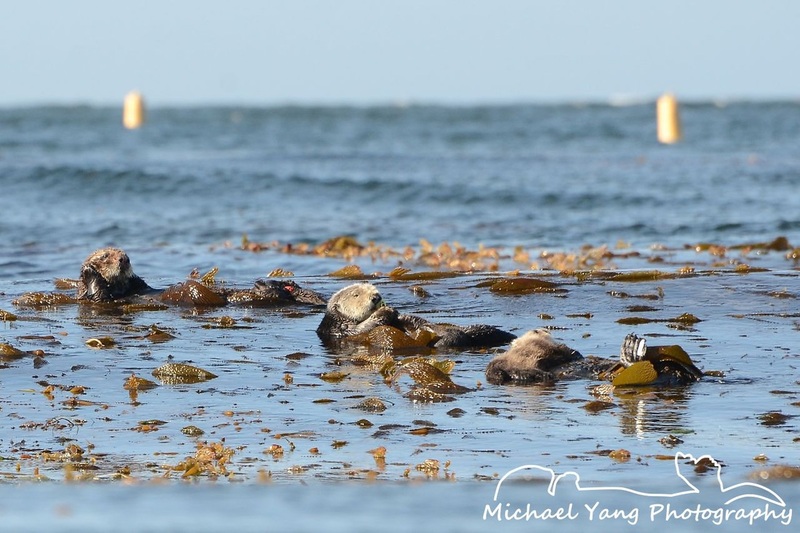 Four sea otters resting in kelp. The far right sea otter has a pup with her. A pup sleeps soundly in the water while mom cleans herself nearby. 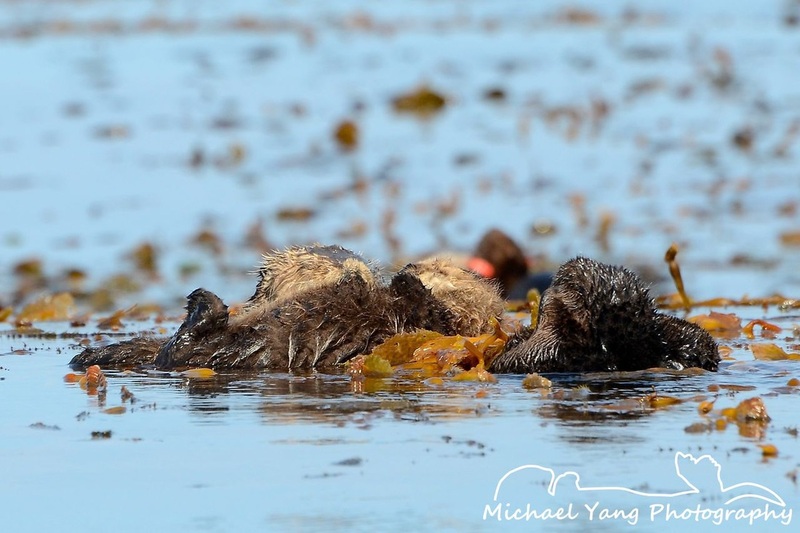 Sea otter mom and pup sleep together amongst the kelp. Sea otter mom and pup sleep together. In the background is a small raft of otters, resting and grooming. 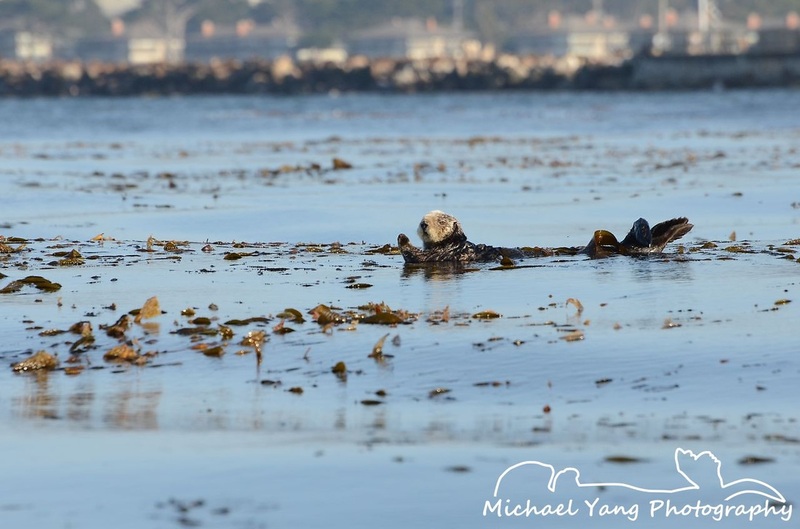 Two look-alike sea otters rest while anchored by kelp. Another sea otter mom clings to her pup while sleeping. Close up of the resting sea otter pup. 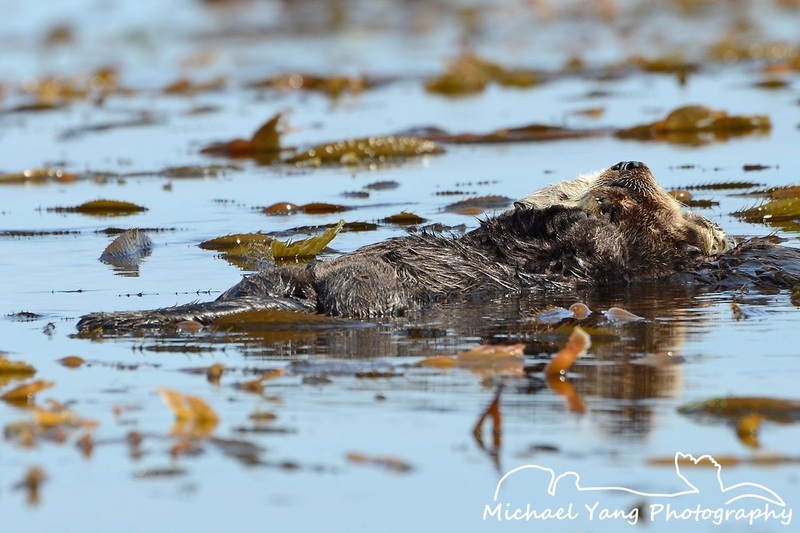 A sea otter performs a roll in the water to wrap itself in kelp.